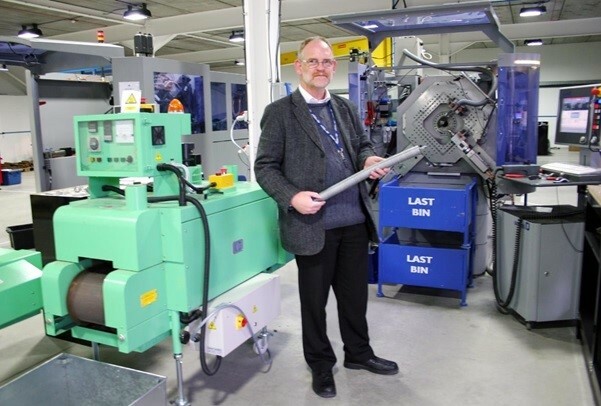 As a family run spring manufacturer with a rich history, we thought it would be good to get some insight from our Chairman, Tim Parkinson, on his personal journey through the company. Tim also offers some insight into how the Company has grown over the course of history and some of the roles he holds outside of Airedale Springs. Despite Tim’s grandfather, Gordon Parkinson forming Airedale Springs in 1945, Tim initially wanted to pursue a career away from spring manufacturing. But the draw of keeping working within the family-run business eventually saw him end up working for the company in 1979. He said: “Although my grandfather started the business in 1945, I never intended to work for the Company, as I always wanted to be an engineer and not necessarily make springs. Tim has worked within the Company for almost 40 years now, and during that time his longest tenure within one role came when he was Quality Manager; this role involved overseeing and implementing BS5750, which is now known as ISO 9001. During his time with the company, the experience Tim gained from working within almost all departments in the business was invaluable for when he became Chairman of Airedale Springs in 2000, which is the role Tim still proudly holds today. Having a working knowledge of all areas of the business is extremely beneficial and is something that many companies’ Chairman will never have experienced. Being able to genuinely understand each department’s pain points has allowed Tim to focus on investing in departments which need new equipment or processes. In his time at Airedale Springs, Tim has seen a whole host of employees join the Airedale’s 25 Year Club. The Company currently has an incredible 53 employees who reached the milestone of working within the business for 25 consecutive years. This achievement cannot be understated, and it’s something that Tim is particularly proud of. When asked about why he believes so many employees stay with Airedale Springs for an extended period of time, Tim said: “With nearly 75 years of history, new employees can see how the older employees have developed and incorporated new technologies to tackle challenges. In turn, they pass their skills and experiences on to the next generation of engineers. 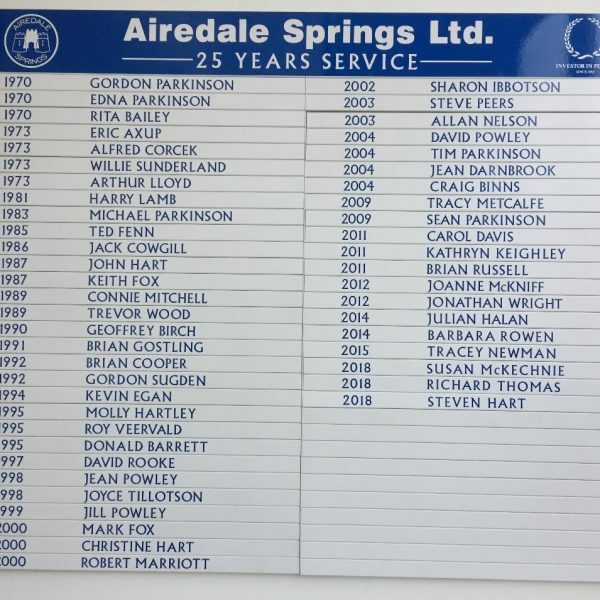 When a company has been running for as long as Airedale Springs have, one of the biggest challenges facing the business is keeping up with the industry trends over the years. Many businesses have fallen foul of being stuck in their ways and have been left behind by those who are open to constantly evolve along with the industry. During Tim’s time with the company, he has seen Airedale Springs go through several periods of sustained change, and since becoming Chairman he has continued to keep up with the ever-changing nature of the spring manufacturing industry. Modernisation in terms of working practices and investment in new equipment can only get you so far though, as he added the need for working closely with clients was invaluable to the long-term sustainability of a business. 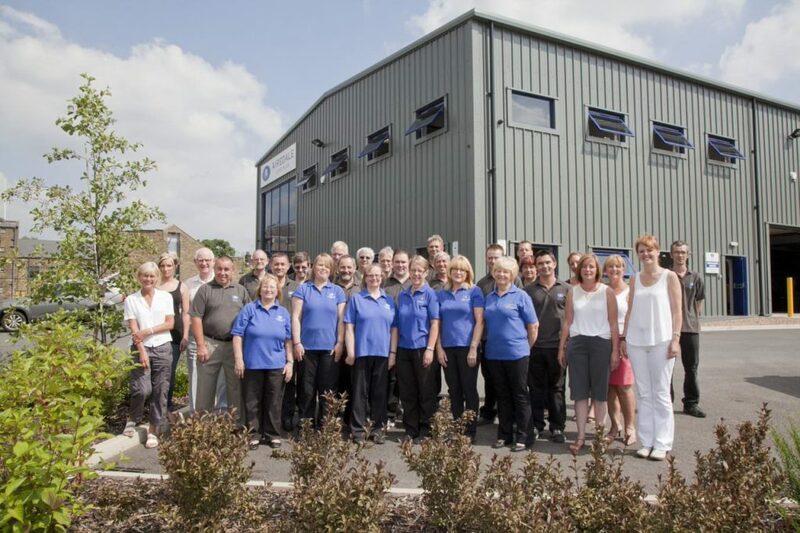 Not only that but ensuring the well-being of the Company’s employees is also absolutely vital, as he went on to add: “We pride ourselves on our ability to work closely with our clients utilising our combined skills with our modern manufacturing facilities to produce high-quality products to customers specifications. Tim is an active member of the UK Spring Research Association and has been for the past 30 years. During this time, he has worked on various committees and is currently a director of the association. In a bid to ensure young people have a route into spring manufacturing, Tim was personally responsible for the creation of the National Training Standards for Spring Manufacture for Level 2 Apprenticeships. He is the current Chairman of the Advanced Manufacturing and Engineering Advisory Board at Keighley College. This board brings together engineering employers from the surrounding area in order to develop engineering provision for the district’s apprentices. Finally, Tim represents Airedale Springs as a member of the Engineering Employers Federation in various positions, including Vice Chairman of the Regional Advisory Board of Yorkshire and the Humber.